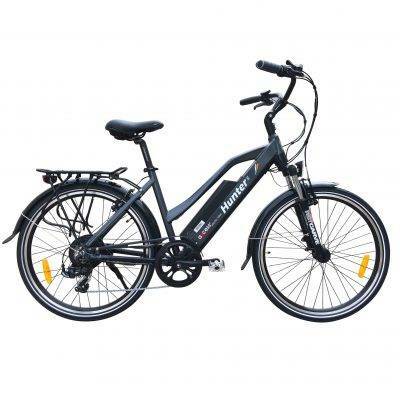 The Westhill Classic electric bike Step-Through is great for leisurely rides and daily trips. Equipped with a high performance (40nm) hub motor means you can take on any challenge. Comes in a choice of two colours. The 250watt high performance (40nm) hub motor assists up to 15.5mph (the maximum speed allowed by UK/EU regulation) meaning you can take on any challenge. Powered by a 36 volt 400wh built in LG lithium-ion battery providing perfect weight distribution and unrivalled balance. This gives an impressive range of 40 – 100 miles* per full charge. The handlebar-mounted LCD control panel delivers a complete range of information including a battery indicator, management of nine levels of power assistance a walk-assist function (taking the bike up to 4mph), front light, a tripometer and speed indicator. The Classic has a traditional look about it whilst also offering the rider maximum comfort. Adjustable handlebar stem and suspension seat post make the Classic the pinnacle of comfort and practicality. Available in a step-through frame style makes getting on and off the bike much easier. 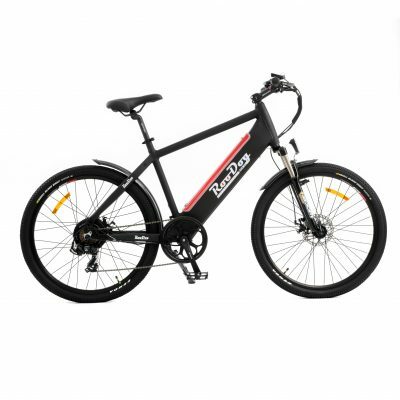 With a comfortable upright riding position ideal for long rides or commuting to work. Stylish simplicity at its best. The quiet high performance (40nm) hub motor combined with Shimano 7 speed gears means you will be able to travel further and experience more than you would on a regular bike. Braking is covered by front and rear disc brakes, whilst 700*40C Kenda tyres keep your wheels firmly planted to the road.